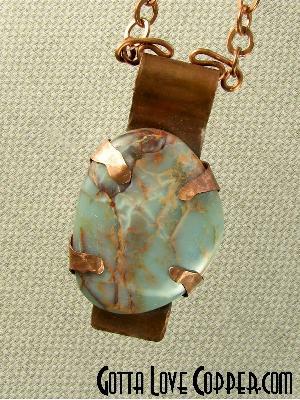 This copper pendant features a large Hemi Jasper cabochon cuddled in copper. It comes with a 22-inch copper chain accented by six small Hemi Jasper beads. You are visitor number 950 to this page.